1940's Comet tank. Trusthorpe Beach. National Grid Reference TF. 477 910. Comet A34 Cruiser Tank. (Photographs A.N. Bridgewater). Black & White Photograph. 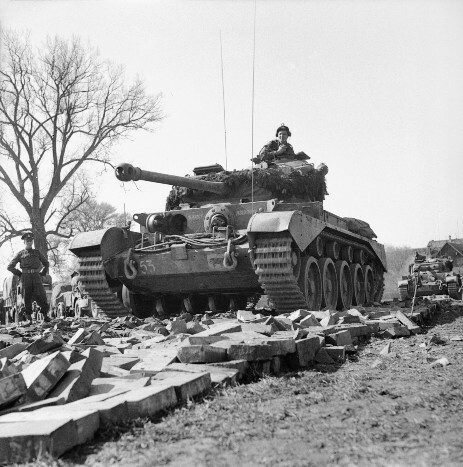 Comet tanks of the 2nd Fife and Forfar Yeomanry, 11th Armoured Division, crossing the Weser at Petershagen, Germany, 7 April 1945. (Public Domain).